The site www.clarins.ie (hereinafter referred to as the “Site”) is an e-commerce site accessible via the Internet network at the address www.clarins.ie. It is open to any user of the network (hereinafter referred to as “User”). It is published by the company Nevinar Cosmetics Ltd (hereinafter referred to as the Vendor), a company registered in Republic of Ireland under company number 439933, Clarins House, 92 Upper George’s Street, Dun Laoghaire, Co. Dublin. These General Terms of Sale come into effect as from 5th of November 2011. 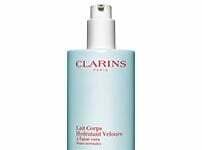 All the offers of products proposed on the Site are limited to www.clarins.ie. Purchase offers, including special promotions, are valid for as long as they are visible on the Site. Please note that all special offers running on clarins.ie are subject to stock availability. In the event we are out of stock on certain gifts, the offer will be removed or refreshed accordingly or alternatively, where possible, substitutions of samples or free gift items may be made without notice. If you obtain a product/item on your order for free due to a technical error, you are obliged to pay the value of goods received or alternatively return the goods in full to Clarins. The prices shown on this Site are in euros, including all taxes, and are guaranteed up to [DATE], with it being stipulated that products ordered are invoiced at the price in force when the order is registered. The Customer accepts that the Vendor's order registration systems are proof of the nature of the agreement and its date. Each order is limited to 5 products. In addition, within each order, no more than 3 articles of any single product reference may be ordered. Secure payments on the Site are guaranteed by PFS Web. Orders will be delivered within an average of 2 to 6 days as from the day on which the Vendor receives the order, according to the selected method of delivery and no later than 14 days as from reception of the order, subject to full payment of the price. The Customer has a period of 14 clear days as from the date of reception, to return the ordered products at their own expense for reimbursement. The reimbursement will be made by any method of payment that the Customer has chosen after exercising their right of withdrawal, no later than 14 days. following the date on which the right was exercised. Use the original packaging to return the product. We accept the return of any item purchased on the site if it is returned within 14 days from the date of receipt of the order by the Customer. We invite the Customer to attach the Return Form attached to the order to facilitate the processing of the said return. The refund is the total amount paid on the purchase, including delivery charges. It should be noted that only standard delivery charges will be taken into account (the amounts corresponding to express or special items will not be supported). The return postage costs are prepaid by Clarins. The product must be intact, in its original condition, in its packaging, with its accessories and instructions, It must not have been used. If a box or a set should be returned, it is imperative to send all of this box or set. In particular cases of texture or perfume altered or intolerance we invite you to contact us beforehand by email at customerservice-ie@online.clarins.com. A specific return procedure will be communicated to you. Fill out and attach the Return Form attached to your order. Paste the prepaid return label attached to the order (above the return form) on the package. In accordance with legislation governing the ownership of literary and artistic rights, or other similar rights, this Site and all the elements, brands, drawings, models, photographs, texts, illustrations, logos, sequences whether animated or not and with or without sound, graphics, etc., to be found in this site, together with their compilation, are the exclusive property of the Vendor, as it does not grant any license or any entitlement other than that of consulting the Site. Any use or reproduction, in whole or in part, of these elements is authorized exclusively for information purposes only for personal and private use, with any reproduction and any use of copies made for other purposes being expressly prohibited. Neither the Site (in whole or in part), nor its content or brands may be used, reproduced, duplicated, sold, resold, made accessible, modified or exploited in any other way, in whole or in part, for any purpose whatsoever, without prior, written authorization from the Vendor. Any other use constitutes infringement. The sales of products of the Vendor are subject to Irish Law. The data collected will be processed for the purpose of sending out a newsletter and/or processing the Customer’s order. The recipients of the data are the Vendor and its service providers. The Customer has the right to access, change, correct and delete personal information concerning them by contacting the Vendor by email.